Just like the seasons, styling trends change all the time. Keeping up with the latest methods and styles is always something we put a lot of focus on. Naturally when a new training course jetted in from the USA, we simply had to send someone along to try it out. Curl by Curl, created by styling guru Lorraine Massey, is an exclusive two-day training course which took place in London back in November, and our very own stylist Renée was lucky to bag herself one of only 15 places available. WHAT EXACTLY IS CURL BY CURL? Curl by Curl is an opportunity for stylists with a passion for curly hair to come together and learn the concept of cutting curls ‘curl by curl’, from natural kinks and beach waves to beautiful salon sculptured perms. 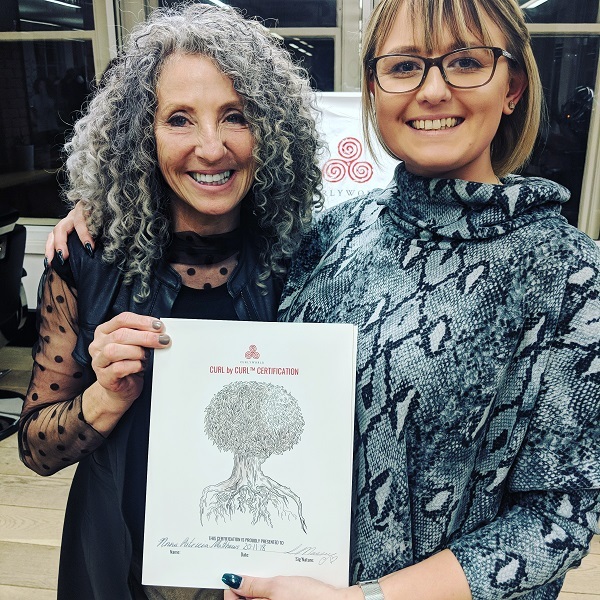 Founder and author of “Curly Girl – The Handbook” Lorraine Massey, flew in especially from the US to deliver the two-day course, which was being taught for only the second time on UK shores! Eager to get started, Renée was among stylists from all over the world, including Pakistan, Australia, and Belgium, making each stylist in the group the first from their respected countries to take this exclusive course. CURLS, CURLS, AND MORE CURLS! You might be surprised to know that around 65% of us have curly hair, yet the styling techniques to bring them to life aren’t always widely available. “With every head of hair having potentially more than one curl type and pattern, it’s now clear to me that no curly hair can be the same! As hairdressers we should be working with our client’s hair, not against it. Curl by Curl taught me to use your eyes and trust the hair to lead you, as visually cutting allows you to see the shape as it happens. Cutting curly hair in this way will create an even finish and beautiful shape. For framing the face or even fringes, this is the most respectful way to cut your curls. From naturally curly hair to afros, Curl by Curl is set to make treating curls accessible for people of all backgrounds and hair types like never before. Leave-In Lover (frizz free conditioner). This is because the Curl by Curl styling method encourages a care free, easy approach to hair maintenance; less steps equals less stress! 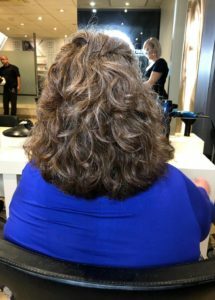 Now, armed with her new skills, Renée is passionate about showing clients their REAL hair, helping others achieve their dream look with their curls. Please call us on 0116 271 7888 to book your FREE Curl by Curl consultation at our Oadby salon.